Estonian state-owned energy group Eesti Energia's renewable energy subsidiary Enefit Green has completed a solar power plant on the small, remote Western Estonian island of Ruhnu which will make up one part of a unique renewables-based energy solution for the island. 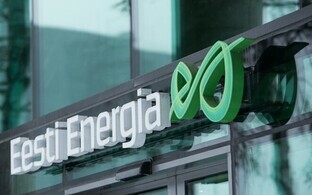 Enefit Green CEO Aavo Kärmas said that the solar power plant on Ruhnu, located near the island's airfield, is the first stage of a complete solution for the island based on renewable energy, according to a company press release. 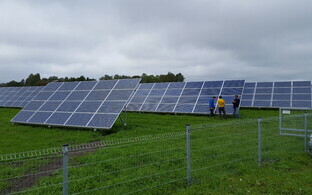 "The newly completed Ruhnu solar power plant consists of 600 solar panels, and its capacity is 150 kilowatts," Kärmas said. 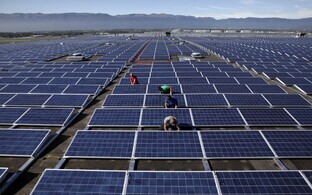 "Electricity produced by the solar power plant will cover nearly one third of Ruhnu's electricity needs." According to the CEO, work on the reconstruction of a wind turbine located on the island is set to begin soon as well. "By the end of this year, a unique complete, renewable energy-based solution independent of the mainland's power grid will be completed, and more than half of the electricity needed on the island will be produced from renewable sources," he explained. In order for the electricity supply to be guaranteed on the island at any given moment and in all weather conditions, the system will be supported by a diesel generator. Previously, all electricity consumed on the island was produced using a diesel generator. 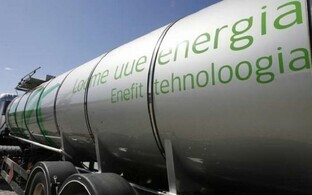 In addition to solar panels, the energy solution, the development for which Enefit Green has invested approximately €500,000, also consists of a wind turbine, batteries and automation devices, which enable the system to be controlled remotely. The output power of the complete renewable energy solution being built by Enefit Green is 160 kilowatts, which will be enough to cover the electricity needs of the entire island. Enefit Green is also to reconstruct one of two wind turbines installed on the island in 2007; the second will be dismantled. 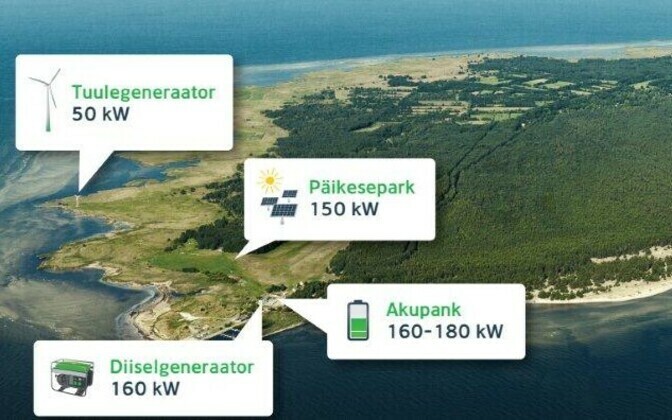 With a population of 170, not all of whom are permanent residents, the 12 sq km island of Ruhnu has an annual electricity consumption of approximately 450 megawatt-hours.